We have a love/hate relationship with air travel. What should be exciting and adventurous—we’re flying!—has become more of a chore than a pleasure. Which is a shame. The journey should be every bit as enjoyable as the destination. However, here are ten little travel hacks that can make it a less unhappy experience. If you’re traveling through multiple time zones, spend a few days before your trip resetting your internal clock. Go to sleep earlier, or keep yourself up later, depending on which direction you’re going; even on a long-haul flight, just shifting toward your destination’s time zone will help reduce jet lag and make your arrival less of a slog. Also, remember that longer flights usually synchronize meal schedules not with the departure’s time zone, but the destination’s, which will also help you adjust. This serves a few purposes but it all comes down to one result: you’ll feel a lot better. You don’t have to do a whole workout, but a light jog or some aerobic movement will stretch you, relax you, and tire you out just enough to make it much easier to fall asleep on the plane. Even if you don’t sleep, power napping becomes much more doable. And for longer flights, if you can’t spring for compression socks, remember to get up at least once an hour if you can swing it, if only to stretch your legs. As tempting as it is, drinking alcohol before a flight is just not a good idea on several counts. Alcohol messes with your hydration levels, and between that and the canned air you’ll feel like a piece of parchment the whole time. Stick to juice, water, tea, coffee (not carbonated drinks, the air pressure changes can wreak havoc on the bubbles and make for some uncomfortable and possibly embarrassing mid-flight moments), and wait until you get where you’re going before hitting the bar. Also, you’ll save yourself a fortune from what they charge on the plane. 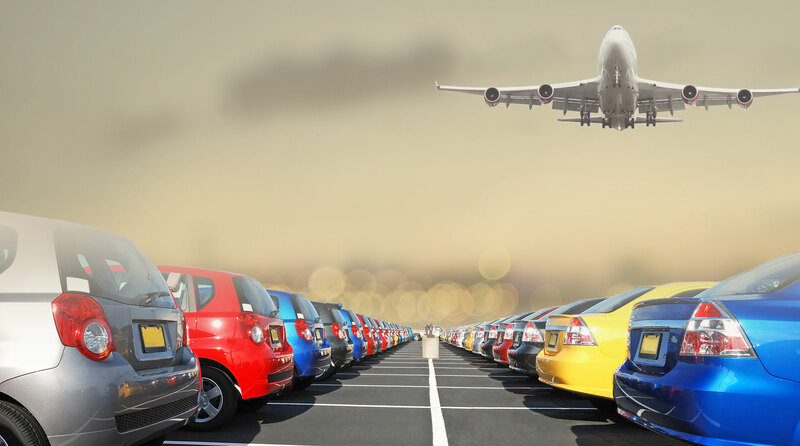 Let’s face it, even if you’re taking a short trip, you’ll never remember where you parked. It takes no time at all to snap a quick cell phone pic of your car and surrounding area, especially space numbers if there are any, or signs denoting what garage floor you’re on. That way you don’t have to trust your brain to remember it and best of all, you won’t spend more time in the parking lot looking for it than you did waiting for your luggage on the carousel. Most people are right-handed, which means that they tend to gravitate toward the right side of a checkpoint. This is true whether it’s customs, the grocery store, or the amusement park entrance, so this is a good hack to keep in your repertoire: when you reach the security gates, keep left. 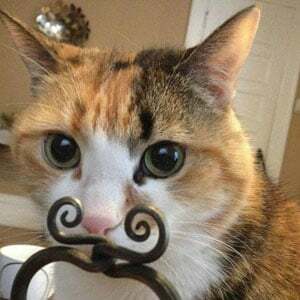 You may still have a bit of a hold up but it will be shorter than if you had gone right. After that, just make sure you have your shoes off and items to be scanned ready for the bin before you get to the head of the line. 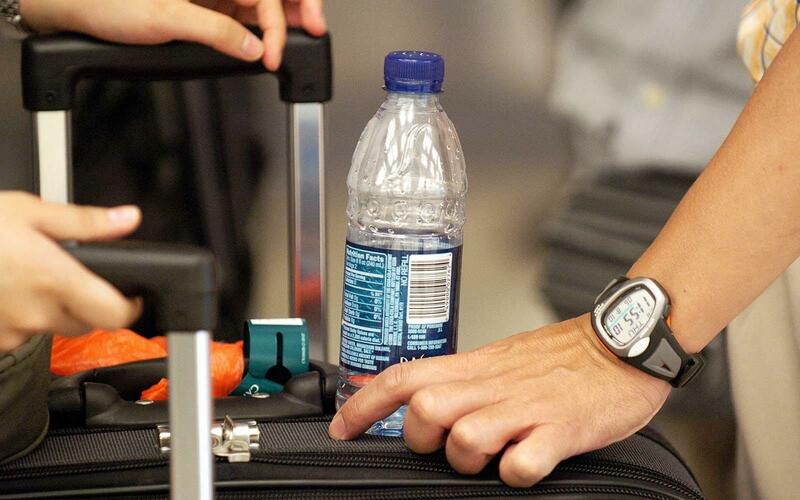 Speaking of security lines, you probably already know you can’t take a bottle of water through, but you can take an empty bottle and fill it up after you pass through. You might want to invest in a collapsible bottle if you travel frequently and keep it with your other travel gear. Likewise, take snacks separately in a bag but don’t forget to take the bag out before you stow the luggage. Keep the things you’ll want to access in the front pocket of your carry-on bag for easy access, because when you go to store it overhead or under the seat in front of you, you can quickly take it out and put it in the seat pocket. Roomy coats are your friend in flight. Not only can you use a coat as a secondary carry-on if it has pockets, you can also use it if there aren’t, because rolling up a coat and putting it behind your back on your seat will give you some much needed lumbar support that the seat itself can’t do for you. Or you can also use it as a pillow, or a blanket (neither of which you want to get from the airline, because they’re not always sanitary). Some people just don’t fly well. Especially those prone to air sickness, or too attuned to turbulence to relax. It’s not enough to choose the perfect seat, you have to take the whole plane into account. For example, if you fly in the morning, there’s less turbulence because of air temperature and pressure equilibrium. Also, there’s less turbulence across the middle of the plane, around the wings, than at either end (especially the rear which gets it the worst). Also, even though they’re not considered ideal seats, sitting toward the center of the plane can also help. Stuck in an airport between legs of the journey, or on a flight delay? Here are some things you can do: if you have an hour or more to wait, try and find an empty gate. You can decompress there (it’s much quieter) and you can even find an outlet for a charger if you’re lucky. If you put in your headphones, though, be wary: you might miss an important announcement about your flight and you do not want that to happen. Also, the Wi-Fi signal is probably better than in a more crowded area, like the gate where all the other passengers on your flight are waiting.